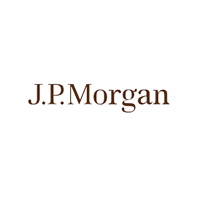 The Board of JPMorgan American Investment Trust plc (LON:JAM) announced its intention to change the large-cap component of the Company by moving to a higher-conviction investment approach. The Board of the Company has undertaken a review of the options available from the range of strategies offered by JPMorgan Asset Management (‘the Manager’) for the large cap portfolio, which represents the vast majority of the Company’s asset base. This wide-ranging review has aimed to identify an investment strategy that offers the prospect of attractive returns for the Company, while maintaining its “core” US exposure, which the Board believes to be important to existing shareholders. The Company invests in a portfolio of large capitalisation companies, representing c.90-100% of the equity portfolio, alongside a portfolio of smaller companies, which can comprise up to 10% of the equity portfolio. Both portfolios invest in North American equities. It is proposed that the large cap component of the Company will in the future adopt a higher- conviction approach combining the best ideas from the Manager’s growth and value investment teams. This new strategy will require certain amendments to the Company’s investment policy which the Board considers material and is subject to approval by shareholders before the new strategy can be implemented. The Board intends to propose a resolution for the approval of the new investment policy at the forthcoming Annual General Meeting (‘AGM’). The new strategy, described by the Manager as “Equity Focus” with over $2.3 billion under management, uses an unconstrained bottom-up approach to build a portfolio of high quality companies across the value and growth spectrum. For value companies, the Manager seeks businesses with durable franchises, shareholder-friendly management and strong free cash flows. From among growth companies, the portfolio will include companies with a large addressable market, a sustainable competitive advantage and a proven record of delivering their business plans. This investment approach would see the large cap element of the Company’s asset base invested in a portfolio that typically comprises some 30-40 stocks. The growth and value components of the portfolio would be approximately equal, with a maximum tilt in either direction of 60:40. The co-lead managers of the new proposed large-cap strategy will be Jonathan Simon and Tim Parton. Jonathan is a Managing Director in the Manager’s US Equity Group with some 38 years’ experience with the Manager and currently manages a number of US funds that follows a value mandate as well as being co-lead manager of the Manager’s Equity Focus strategy. He has been an employee of the Manager since 1980 and holds an MA in mathematics from Oxford University. Tim Parton is also a Managing Director in the US Equity Group, has been with the Manager for 32 years and manages a number of growth strategies including the Growth Advantage Fund and since 28th February 2017 has, alongside Jonathan, been the co-manager of the Manager’s Equity Focus strategy. Tim holds a BSc in economics and accounting from the University of Bristol and is a member of the New York Society of Security Analysts and a CFA charterholder. The portfolio managers are supported by a local team of over 35 research analysts with specific sector research responsibilities who are responsible for the idea generation and the ongoing monitoring of companies within their sphere of expertise. If approved by shareholders, this change will mark the end of Garrett Fish’s involvement in managing the Company’s portfolio. He is moving on to other responsibilities with the Manager that have necessitated his departure. Garrett has been the lead investment manager of the Company’s assets for over 15 years at the Board would like to thank him for his dedication to the Company and its shareholders. The proposed new investment strategy will reflect the best ideas from the Manager’s value and growth investment strategies sourced from following processes. Value stocks within the portfolio are selected from an initial universe of companies with a market capitalisation in excess of $1 billion and a P/E ratio of below 20, which currently includes approximately 700 stocks. After identifying companies that exhibit these basic investment credentials, the process moves to in-house research analysing the market in which a company operates, its franchise and competitive positioning, financial and operational results, and importantly, the quality of its management and its behaviour towards shareholders. Potential investments are assessed over a two or three-year time horizon with attention focusing on those companies which the Manager expects to be substantially re-rated over that timeframe. Overlying this process is a rigorous analysis of valuation that frames the price the Manager is willing to pay for an investment, quantifies the potential upside and the price at which the Manager would be prepared to sell. Growth stocks are sourced from a universe of over 800 securities which are screened for a number of factors including earnings revisions, stock price momentum and valuation measures including P/E ratio and Price/Free Cash Flow. Systematic screening results in a universe of some 150 stocks which are subjected to detailed analysis and face-to-face meetings with management by the portfolio managers and sector analysts teams. This analysis is designed to identify companies deemed capable of achieving growth that exceeds market expectations and incudes a detailed review of characteristics including an assessment of the industry’s competitive dynamics, the attractiveness and resilience of the company’s business model, the strength and track record of management and the company’s financial strength. Responsibility for portfolio construction and risk management rests with the portfolio managers who construct a concentrated core portfolio from the highest ranking growth and value stocks. Each portfolio manager selects securities based on their disciplined process and investment style with position sizes based on the strength of conviction and the allocation between the growth and value stocks is managed within a maximum range of 60:40. The value and growth portions may include securities from all sectors, but will tend to own the majority of positions with sectors traditionally tied to their respective investment styles, for example financial services for value and technology for growth. The portfolio managers will also ensure that the portfolio is managed within the investment guidelines and with an eye to broader measures of investment risk including active monies, style tilts and tracking error. The table below sets out the annualised performance of the investment strategy in sterling and before fees as at 31st December 2018. Source: JPMorgan Asset Management, Wilshire. Strategy performance is calculated in accordance with GIPS standards where segregated mandate portfolios and/or pooled funds managed in accordance with the strategy are grouped into a “composite”. Inception date is 31st July 2011. Source: JPMorgan Asset Management, Wilshire. Strategy performance is calculated in accordance with GIPS standards where segregated mandate portfolios and/or pooled funds managed in accordance with the strategy are grouped into a “composite”. The table below sets out some key quantitative attributes of the proposed investment process as at 31st December 2018. The Company’s current flexibility to invest a component of its asset base in a portfolio of small cap equities managed by Eytan Shapiro will be unchanged, as will the ability to use gearing to enhance returns in accordance with the current investment policy. Alongside the proposed changes in investment process, the Board has negotiated an amendment to the current fees paid to the Manager. The introduction of MIFID II in 2018, which requires wealth managers and other investment platform providers to disclose “look through” costs to their underlying investors has reinforced the need to offer simple and value-for-money fees. The Company is keen to retain its competitive cost position against rival investment funds, including passive and actively managed open and closed-ended funds. In order to simplify the Company’s fee offering, the Company is removing the performance fee element of the fee, backdated to 1st January 2019. These fees are often seen as an unnecessary complication by potential investors and the Board believes that this move is in line with shifts seen across the investment trust sector in recent years, where performance fee arrangements which were once commonplace are now much less so. The Board is also pleased to announce that the Manager has agreed to waive its management fee for a period of nine months commencing on 1st June 2019, which represents an amount approximately commensurate to the underperformance arising from the historic performance fee arrangements. Thereafter the management fee will resume, charged at the current rate of 0.35% per annum on the first £500 million of net assets; 0.30% per annum on net assets above £500 million and up to £1 billion; and 0.25% per annum on any net assets above £1 billion. The Manager will also bear the transaction costs associated with the reorganisation of the portfolio to the proposed new investment strategy. The Board believes this package of fee simplification and a short-term fee waiver should be welcomed by shareholders. The Company will continue to keep management fees actively under review in an effort to maintain its current competitive ongoing charges ratio. In order to affect this proposed change in the large cap investment strategy, the Company’s forthcoming AGM, to be held on 2nd May 2019, will include an ordinary resolution giving shareholders the opportunity to vote on a revised investment policy to accommodate the attributes of the new strategy. The resolution and the full text of the proposed new investment policy, will be included in the Notice of the Annual General Meeting included in the financial statements for the year ended 31st December 2018 which will be published on or around 22nd March 2019. The financial statements will also include the full text of the proposed new investment policy. Click JAM for the full archive.